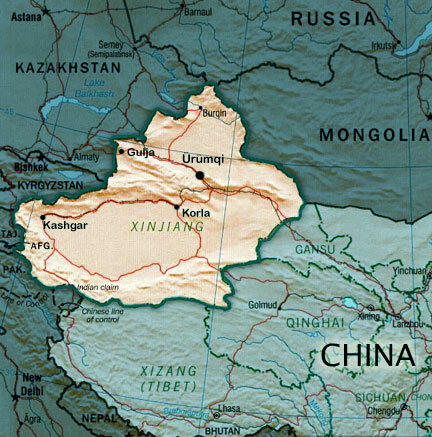 The eighth Stan is currently called Xinjiang, in northwest modern-day China. In an earlier era, this region was known as East Turkestan, but like the much more famous Tibet, this region was swallowed up by the Communists as they created their version of a workers paradise in the late 1940s. 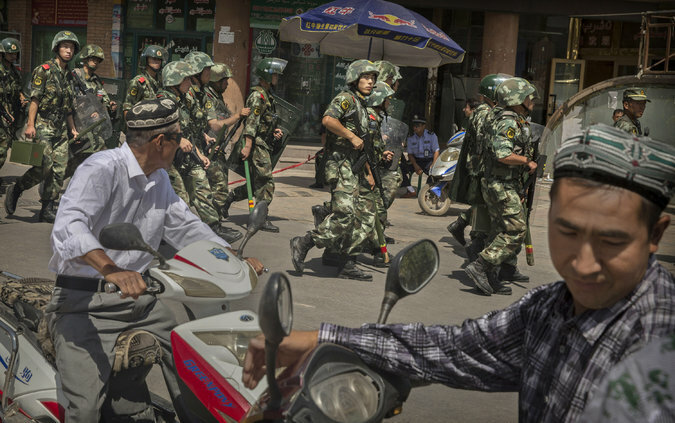 The New York Times reported on August 3, "It was a bloody week in China’s far west, with nearly 100 people killed in unrest that the authorities have characterized as terrorism but that Uighur advocacy groups have said is a consequence of a sweeping crackdown aimed at silencing opposition to the government’s hard-line policies in the region. The outbreak of violence in Xinjiang amid an overwhelming show of security appears to be the worst since 2009, when at least 200 people died during several days of ethnic rioting in the regional capital, Urumqi. ..."
The unrest seems to pop up in various cities of the province. Last week, a Muslim cleric supported by the national government was assassinated in Kashgar, while violence is documented in the cities of Yarkland and Hotan. Perhaps the reader may remember that a group of U.S. Guantanamo prisoners were Uighurs. 22 individuals were swept up in the U.S. counter terrorism actions after the 2001 towers attack, and it got complicated from there. A New York Times article described it this way, "at least as early as 2003, the [U.S] military had determined they were “not affiliated with Al Qaeda or a Taliban leader” and should be released. But the United States could not repatriate them because the Chinese government has a history of mistreating Uighurs as it deals with ethnic unrest in its vast Central Asian border region of Xinjiang, where Uighurs are the largest ethnic group. The American military believed some of the Uighur detainees had received weapons training at a camp in Afghanistan run by a separatist Uighur group. Other countries were reluctant to take them, in part because of Chinese diplomatic pressure." The eighth stan and many other stans contain portions of the old Silk Road - an overland trade route connecting the Middle East and China. That could be a story in the future as well.